﻿Nomad Adventures﻿ is pleased to present Canada's freshwater kayak fishing tournaments the Ontario Kayak Fishing Series! Proudly supporting the Help a Child Smile foundation. OKFS features fishing in many demographics ranging from all regions of the province to give anglers a good taste of the different fishing available. Past events have covered: Northern Ontario, Near North lakes, Central Ontario lakes, the Great Lakes, St Lawrence River Eastern Ontario, and Southern Ontario rivers & inland lakes. ​All locations have proven to be excellent venues for our events. 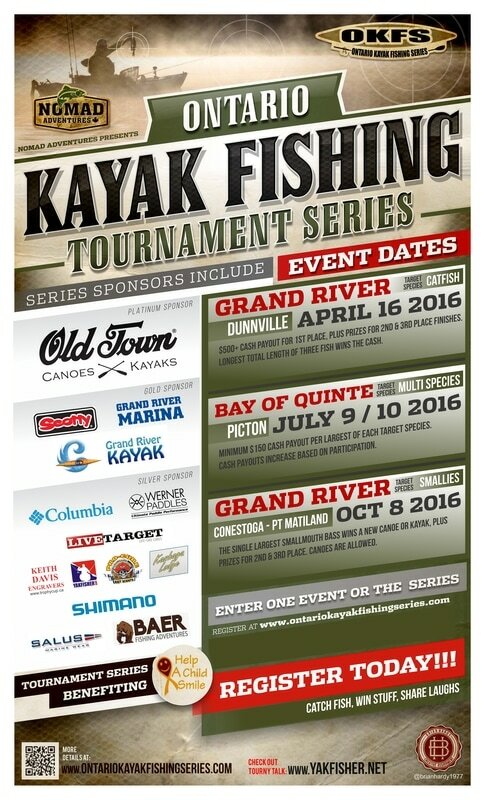 Visit the Ontario Kayak Fishing Series http://www.ontariokayakfishingseries.com/ for full series and event details.